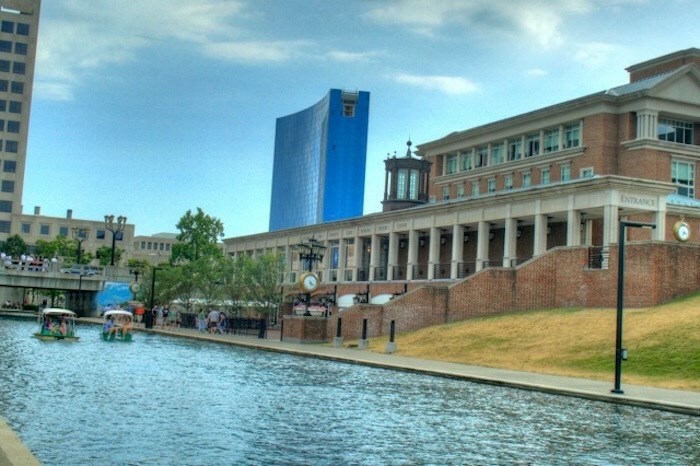 The canal found in Downtown Indianapolis is known as a great place to relax and enjoy the beauty of the day. It's popular for picnicking and walking along the water. While you can enjoy the canal anytime, one of the best times to enjoy this part of Downtown Indy is during the Concerts on the Canal Series. The Indiana Historical Society presents the event all throughout the summer. A variety of music will be provided from jazz to hits from the 1980s and so much more. The Kruse Family Stardust Terrace will be the place and Thursday night will be the dates. Each performance will provide something a bit different with unique musical choices all summer long. The shows will run from 6pm to 8pm, but you will want to show up early to get a seat and enjoy food before the show. The Stardust Terrace Cafe will open at 5pm with an outdoor grill and cash bar. You're also allowed to bring your own food and nonalcoholic beverages to the concerts. You cannot bring your own alcohol, but it can be purchased at the event. The cost for the event is free for those choosing to sit on the grassy area on the Canal Walk. However, if you prefer at able, you can purchase one. Tables for 8 people are available for $50 or $40 for members. Tables of 4 are also available for $40 or $30 for members. If you prefer just a single seat at a community tables, it's $10 or $8 for members. You can also purchase a half-season or full-season package. No pets are allowed and you cannot smoke on the terrace. Remember, parking is a first-come basis, so arriving early may be necessary to get parking. If the weather doesn't cooperate, the concert may be slightly delayed. The concert could also be moved indoors if the weather is bad. If this happens, it will be held in the Frank and Katrina Basile Theater. No food or drink will be allowed in the theater and those who have registered ahead of time will be given priority. If you love music, this downtown concert series in Indianapolis is a great choice.